United Insurance is a Jordan-based public company which was founded in 1972. The company operates within the insurance sector providing various insurance and reinsurance products covering motors, marine, fire, engineering, property, general accidents, medical, life and many other industries. Slow software systems, a small IT budget and shorter deadlines for adding new functionality to the existing apps made the IT department consider moving from their existing development technology, Oracle Forms & Reports 10g, to another solution. The alternative development tool needed to provide modern UI components and allow the team to leverage their extended knowledge of PL/SQL. Initially, the Oracle Application Development Framework (ADF) was taken into consideration, however due to the team’s lack of knowledge in working with JAVA and the costs associated with developer training this option was quickly discarded. Oracle APEX was considered next and the team began a test project by rebuilding one of their smaller business applications. As the project progressed, the developers realized that some of the requirements could not be solved with using just the standard Oracle APEX development environment. The team began to look for plugins that could add functionality to APEX and ease up the development of application pages with a high level of complexity. 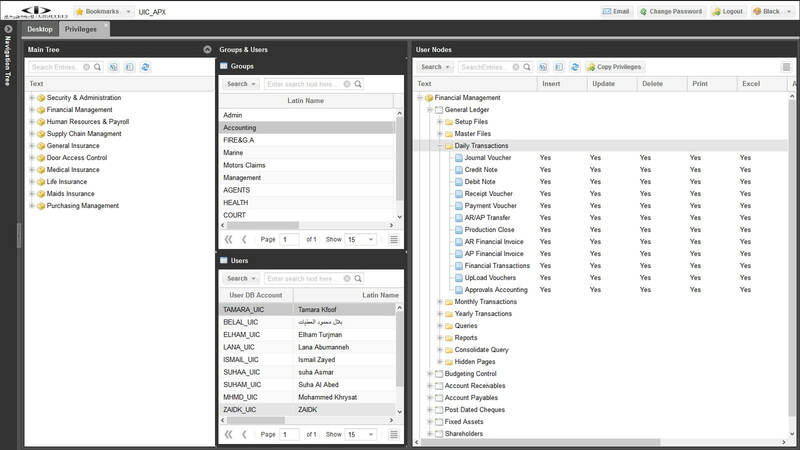 Through their online research, United Insurance learned about the FOEX Plugin Framework and the additional functionality it brings to the standard APEX environment. After a successful free trial, the development team recommended using FOEX’s solution as a future development tool in addition to Oracle APEX. 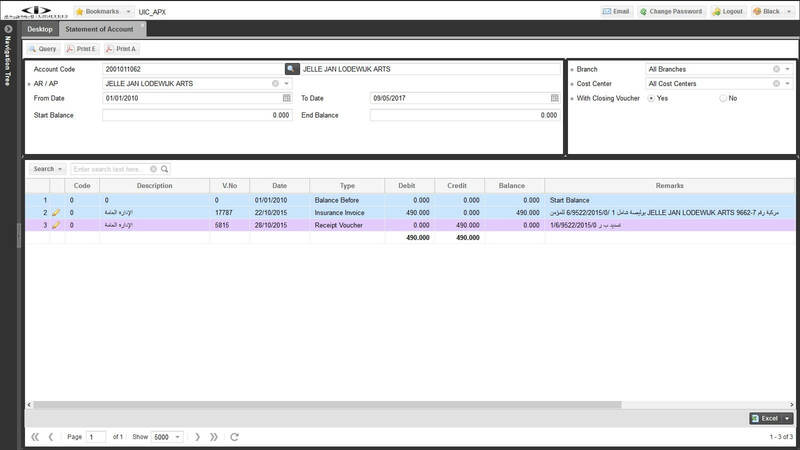 A team of 2 system analysts and 5 senior developers were tasked with rebuilding 13 different financial and insurance business applications using the combination of APEX and FOEX. These internal systems were initially developed with Forms & Reports and had a total of 500 pages and sub-pages. 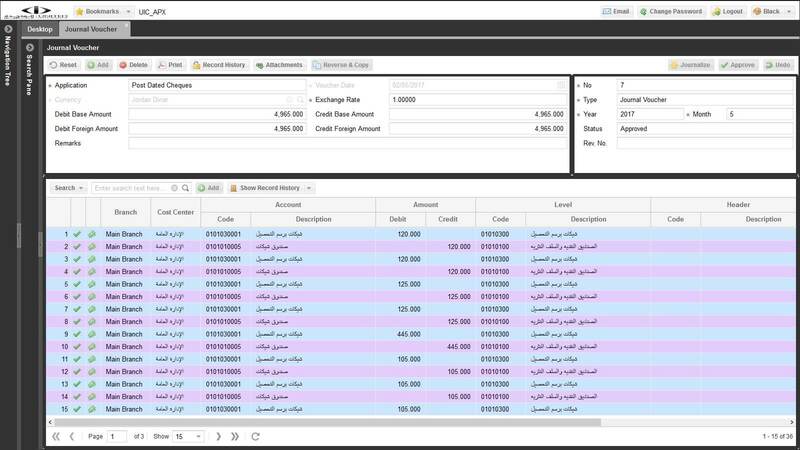 In addition to migrating from Oracle Forms & Reports 10g to APEX and FOEX, another objective was to build a friendly user interface that would provide a smooth navigation and allow users to find the necesary information easier. 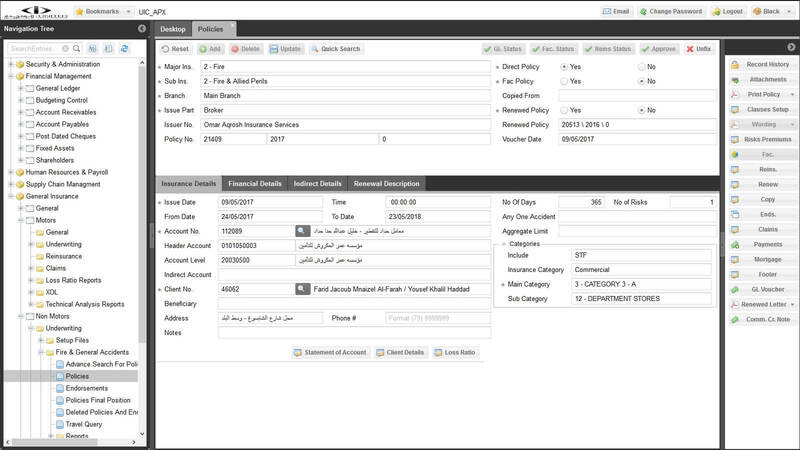 When asked about his experience with using APEX and FOEX to migrate from Oracle Forms & Reports, Mr. Ibrahim Al-Shut, the IT Manager of United Insurance, stated: "I think developing critical business applications using APEX & FOEX is very much faster than ADF. It would have taken at least double the time if the applications had been developed using ADF and that’s assuming that our development team already had the required level of proficiency and experience in using both JAVA and PL/SQL." 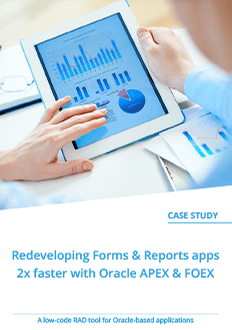 "The combination of Oracle APEX and FOEX is the perfect choice for us. They are cost effective, state of the art web development tools that can be used to modernize legacy apps, replace Oracle Forms or to develop feature-rich complex business applications for web or mobile."